It's a great feeling to stop and reflect in this moment in time on a journey that has taken me from my early childhood days through wars and conflicts such as Vietnam on into my wonderful music years with the Drifters. Obviously the crown jewel is to be able to write about all of this and there is a lot of gratification in being able to do so. Someone asked me the other day will you ever get tired of this Drifter thing as it seems forever to be plagued with problems as it has been since the start. My answer to that! "Was the show must go on" The Drifters has been major part of my life for some decades now and I do feel at this time that I am qualified in what I might call for a lack of a better word in Drifter-tolgy. I saw many years ago the vision that I am living today. Call it what you like premonition etc. the cards are falling just as I predicted it would and yes it gives me an advantage in moving forward way ahead of scheduled events. On the Legends project we are still moving ahead as we began some years ago. Though there were some setbacks related to politics and conflict of interest issues I myself will never let it die. It's a multi-facet project with many directions to it. I enjoy the challenge that it brings as I clearly see through to the end of the tunnel. The biggest problem as always in these things is getting everyone on the same page in hope that they see things as you do. I've been known to make what people may say is impossible "Possible". Moving on into the future I am close to finishing the book "Anthology" The Drifters Legends and have started a new book titled The Drifters Legends Controversies & Facts. Photographic sessions are currently being scheduled for all of the Legends and I have just finished one session with Drifters Legend Rick Sheppard. I'm in the studio with my team of photographers on a session around myself and then I'm heading out to Photograph DLegends Clyde Brown and Joe Blunt in the coming months all for the book and other Legends projects that are in the wings. I do thank all of those who have giving there support thus far and also those who haven't been so forth coming. I still love you! but as I said earlier The Show must go on". Fast and Furious 6 the high octane adventure is every bit of combustible as it's name imply's. Right from the start this two hour movie on wheels director Justin Lin manages to out do the last. Though each movie in the franchise are somewhat the same he never lets you down when it comes to new and bolder stunts and action. During the first five minutes director Lin takes us from the Canary Islands to Moscow to London, while also summarizing the five "F&F" films that came before. 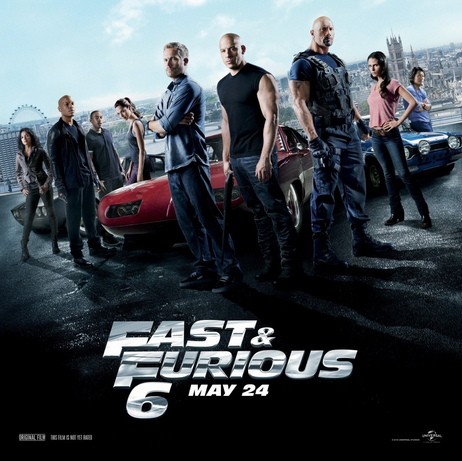 Van Diesel who seems to have been born to make these movies gives the films it's catch phrase "Family" It's all about family, while his pit crew has grown into a satisfyingly connected team. It"s this sense of communal spirit that gives the "F&F series it's heart. A family reunion is what this film is all about as Dom and his crew unite to save one of their own. 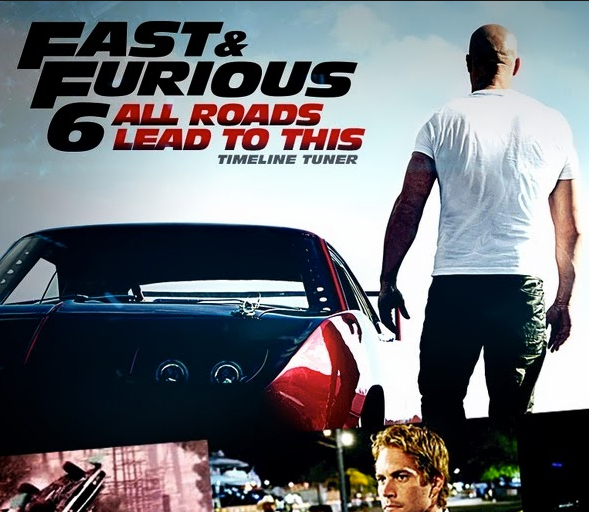 Dom's long ago love Letty (Michelle Rodriguez) who was supposed to have been killed in the fourth film was revealed to be alive in "Fast Five" and now we learn in Six who she is working for, another team headed by a devilish villain named Shaw (Luke Evans). He's on the verge of developing some powerful Technological weapon and Special Agent Hobbs (Dwayne "The Rock" Johnson's) needs Dom and his crews help to take down Shaw. Dom and his best friend Brian (Paul Walker) and their crew (Ludactis, Tyrese Gibson, Sung kang and Gina Carano are in London now stalking Shaw. They are ready to take him down but Dom really want to see Letty but he is soon to find out she doesn't know who he is as her memory has been totally washed. Looking at the supporting cast Rodriguez and Evans are particularly strong in character. Carano and Jordana Brewster, Dom's sister are somewhat stiff. 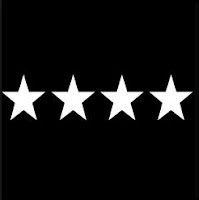 The plot in general is quite serviceable boosted by humor and remains one of those stories which you can hang breathtaking action scenes, chases, explosions and hand-to-hand combat scenes on. New York with parties set in the style of the 1920s. 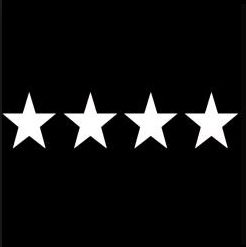 A decade of distinctive cultural edge in New York City, Paris, Berlin, London o include many other cities who sustained a period of economic prosperity and stability. French speakers called it the "annees folles ("Crazy Years"This emphasizing the era's social setting in artistic and cultural dynamism. Economically the era saw a rise in the use of the Automobile, Telephone, motion pictures and with significant changes in lifestyle and culture. 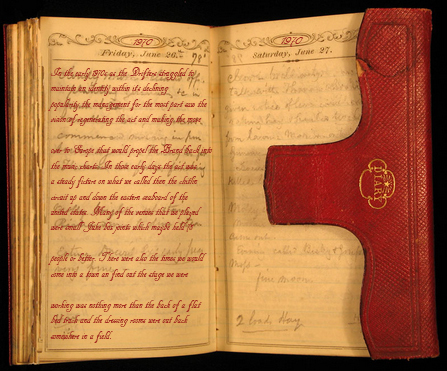 particularly automobiles, motion pictures and radio proliferated modernity to a large part of the population you could see practicality in both daily life and architecture. and specter of World War 1. 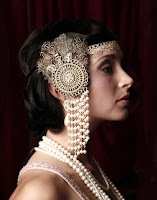 This period was also known as the jazz age. Dance clubs became notoriously popularly during the 1920s. Their popularity peaked in the late 1920 and reached into the early 1930s. Dance music came to dominate all forms of popular music by the late 1920s. The most popular dances at this time were foxtrot and waltz and American Tango. From the early 1920s, however, a variety of eccentric novelty dances were developed. The first of these were the Breakaway and Charleston. both of these dances were based on African-American musical styles and beats. This was also to include the blues. It was after two 1922 Broadway shows that the Charleston exploded as a dance entity. 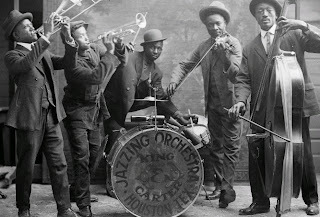 Then there was a brief Black Bottom Dance craze which originated at the Apollo Theatre Harlem New York City which swept dance halls from 1926 to 1927, replacing the Charleston in popularity. 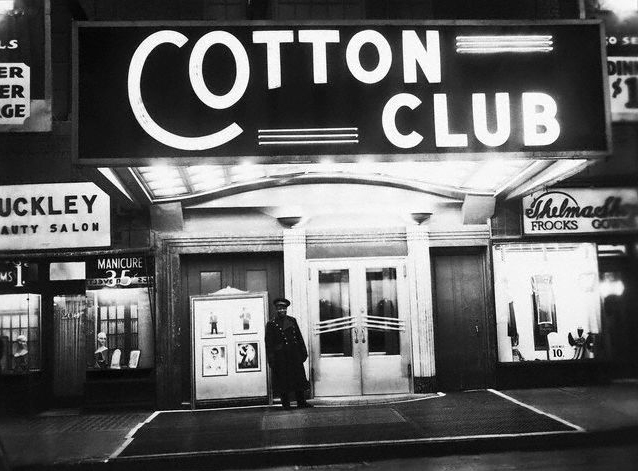 Developed in the Savoy Ballroom, it was set to stride piano ragtime jazz. later The Lindy Hop would develop into swing jazz. During this period several entertainment venues attracted people from all races. 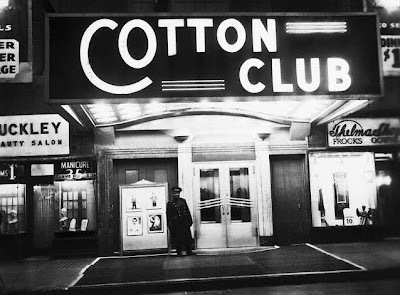 The Cotton Club featured black performers and catered to a white clientele, while the Savoy Ballroom catered to a mostly black clientele. Fashion was a noted highlight in the 1920s for all races weather pour or rich most men and women wore elegant dresses and suits. Immortalized in movies and magazine covers, young women's fashion of the1920s was both a trend and social statement. 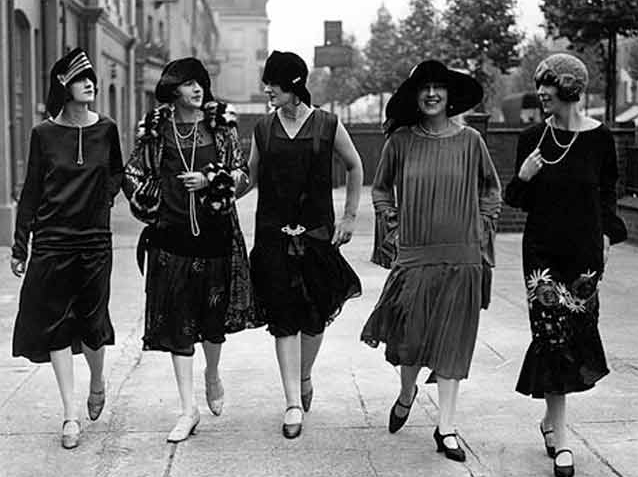 These middle class women rebellious in nature were labeled flappers by the older generation did away with the corset of the Victorian age and donned slinky length dresses which exposed their legs and arms. 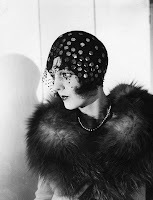 The hairstyle of the decade was a chin-length bob, of which there were several popular variations. the political issues of entertainers visiting the country because of Apartheid. band podium black and white musicians would play together. This arrangement was a requirement that was unheard of at that time. when it came to social integration between blacks, Indians and whites! ambassadors but there was no hiding the scars of Apartheid. Pain and a Great South African Solo Artist The Late Margret Sengana. who's job it was to to keep such social gatherings from taking place. you crossed it door step ( So Goes The Strange Laws During This period). of the political issues that surfaced around the visit.